The Meade Potato Company was named the 2016 Pakman award winner at the annual Pakman Awards. The award ceremony, which took place at the InterContinental Dublin Hotel, saw 400 representatives from leading businesses, organisation and community groups come together to recognise excellence in recycling, energy and waste management. Leading the congratulations was Minister for Communications, Climate Action and Environment, Mr. Denis Naughten. The Repak Pakman Awards seeks to recognise complete excellence in the environmental approach taken by a business, organisation or community group in all aspects of their operations. This year, Meade Potato demonstrated best-in-class practices, leadership and advocacy in all aspects of environmental sustainability from reduction of packaging, water, energy and an amazing community food bank programme. Panda was named Waste Collection Operator of the Year (Large) and Rehab Glassco was named Waste Collection Operator of the Year (Small). Transdev Dublin Light Rail was awarded the Green Transport of the Year Award. Among the other winners were ReCreate Ireland, whose practice of providing accessible and affordable art materials and educational supplies in a sustainable way to disadvantaged areas earned it the Community Recycling Project of the Year Award. Aldi Ireland Limited was awarded the Battery Champion Award for its efforts in recycling 31,317kgs of waste batteries in 2015. Dun Laoghaire-Rathdown County Council picked up The Bring Centre of the Year Award for its efficiency in handling the 7,300 tonnes of waste delivered to it each year. 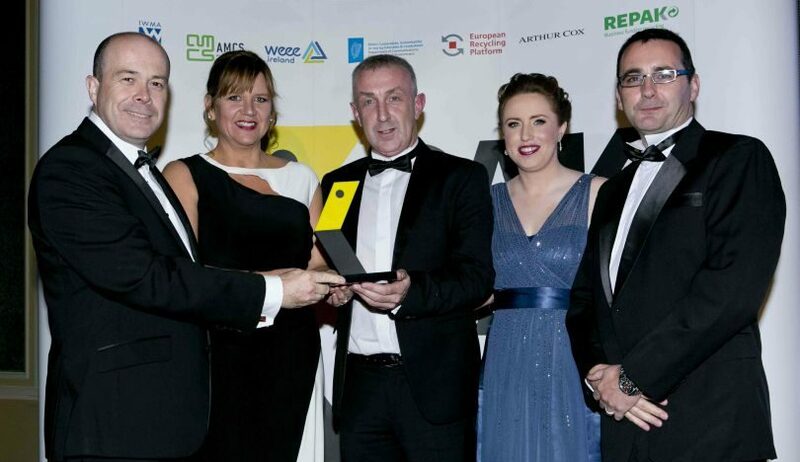 Irish Lamp Recycling Co won the WEEE Champion Award for its continued dedication to serving its customers whilst employing best environmental practices. University College Cork was awarded the Business Recycling Champion of the Year Award, while Recycle IT was awarded the Environmental Education and Awareness Initiative Award for its work offering a free community recycling collection and drop service. Allied Irish Bank won the Professional Service Award for its continued efforts in energy efficiency and waste management, and SMILE Resource Exchange took home the Waste Prevention Business Award.